It wasn’t that long ago that I blew open the literary vault of my brain with Cormac McCarthy’s Blood Meridian. Not for years had I picked up a book which from the outset (“See the child.”) had me holding on to the arms of my chair for fear that my head would explode with the sheer power of the language. It stopped me in my tracks and forced me to rethink everything I knew about ‘the novel’. 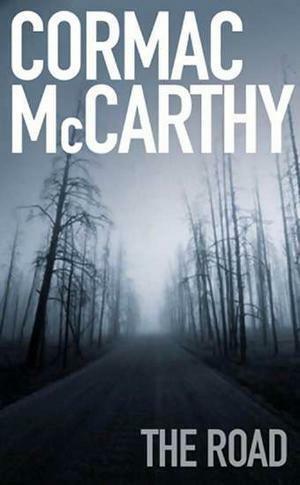 It was like a nightmare weighing on my brain, after which my mind was left spent and parched, pulverised by McCarthy’s relentless historical phantasmagoria. I didn’t think I’d pick up another one of his books for quite some time. I thought I’d thumbed enough violence and horror. I thought I had him all figured out. When he woke in the woods in the dark and the cold of the night he’d reach out to touch the child sleeping beside him. Nights dark beyond darkness and the days more gray each than what had gone before. Like the onset of some cold glaucoma dimming away the world. His hand rose and fell softly with each precious breath. He pushed away the plastic tarpaulin and raised himself in the stinking robes and blankets and looked toward the east for any light but there was none. I devoured the next 307 pages in a sustained frenzy. A total of three sittings. I don’t think it is hard to see that The Road is one of the most significant novels to emerge since the turn of the millennium. It poses some incredibly important questions, not the least of which is, what does it mean to be human in a world devoid of humanity. I would highly recommend it to anyone concerned about the state of our world. It gives fresh hope that there is meaning in words, power in language, and purpose in art. For those of you living under a tortoise shell or in a fallout bunker, Charlie Kaufman has a new movie out which he has written and directed. Synecdoche, New York is, in short, brilliant. If you haven’t yet seen it, step away from your computer and go check it out. It’s far better than Adaptation, a sight better than Being John Malkovich, and in my humble opinion equally as good (if not better than) the much loved Eternal Sunshine of the Spotless Mind. If you happen to work in theatre – like I do – then it is compulsory viewing. And check out this interview with Kaufman: he has some very interesting things to say about writing for stage and screen.